Traditional dish from Lazio, rigatoni pasta with gricia sauce, is not so well known, unfortunately, but it is so good that we need to introduce the world to the taste of this authentic Italian dish. Why it is so unknown? Because usually we prefer its heir, pasta all’amatriciana, which is nothing but the gricia sauce… with tomato. We don’t know exactly the origine of the name gricia, maybe it is from the name of the Swiss bread sellers working in Rome during the nineteenth century and coming from the Swiss Canton of Grisons, or maybe it originates from a small village near Amatrice, Grisciano. 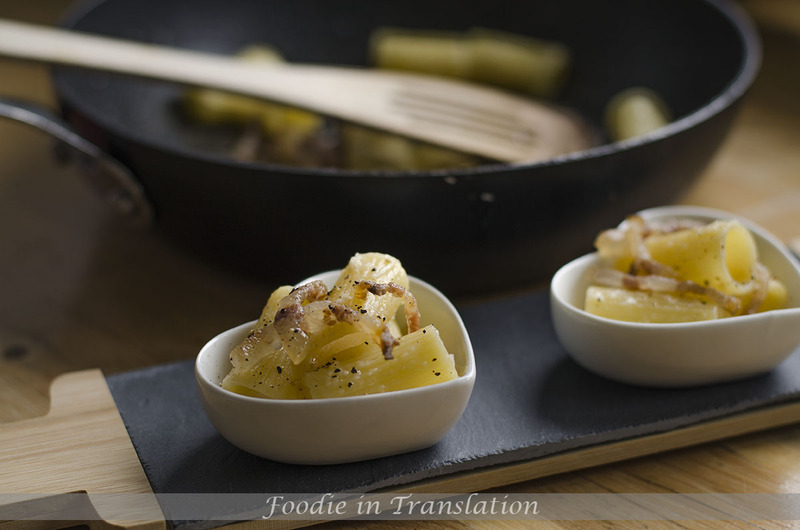 Anyway, this peasant dish is so good and so easy to make that you must try it. Boil the water for pasta. Meanwhile cut the guanciale into stripes and cook it in a pan without olive oil. The guanciale grease will be enough. Grate the pecorino cheese and put it into the pan with guanciale. Pour some cooking water in it, in order to create a creamy sauce. Cook the pasta al dente, drain it (do not rinse), add it directly in the pan with the sauce and mix it. 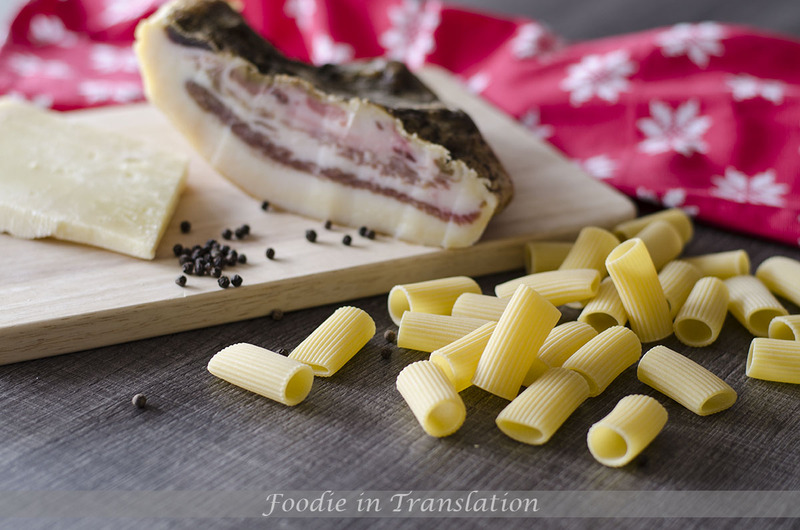 * Guanciale is an Italian cured meat made with porc jowl or cheek. You should find it in Italian grocery store. If you don’t eat pork, I know that in Rome, some Jewish restaurants use cured goose meat instead of guanciale. ** Pecorino Romano is an Italian cheese, made with sheep’s milk. You can find it in Italian grocery store.